▶ SoldThis listing was sold on Oct 4, 2017 for the price shown here. 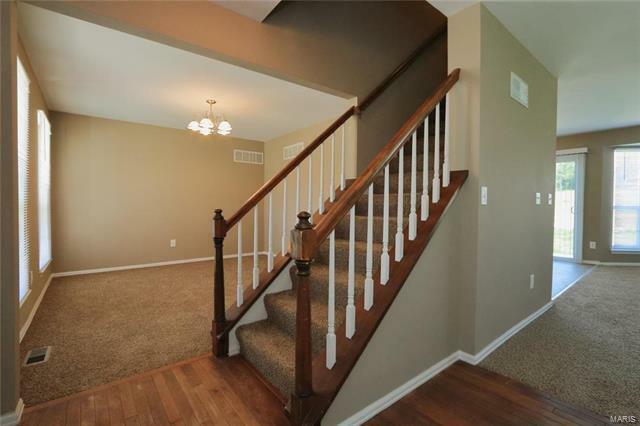 Fabulous 3 bedroom and 2.5 bathroom home updated with fresh carpet and neutral paint throughout. This home is MOVE-IN ready and has great curb appeal with charming front porch! Terrific open floor plan with eat-in kitchen that boasts black appliances and refrigerator. Master bedroom with gorgeous master bath, dbl sinks, sep shower & tub. HUGE master walk-in closet. Nice size secondary bedrooms. Updated light fixtures throughout. Full size basement. Great size backyard with large patio, perfect for kids and pets. A MUST see! This home won't last! SHACKELFORD TO L NORTHFORK RDG TO LEFT ON STREET.